As I re-read this blog post, the whole situation outside the grocery store came vividly to mind. I could see the middle-aged man, bright smile on his face, dreadlocks under his oversized stocking cap. I’ve seen him a number of times since, and he always has that same smile. He’s always happy to see me. I attended the New Wilmington Mission Conference again this year, and I realized the people who attend are always encouraged to reach out to others. It doesn’t matter whether it’s across the street, across the city, or across the ocean. Reach out and be a neighbor. I was blessed by this lovely man. Perhaps you will be blessed when you reach out, too. At work today, I discussed mission with several people. More specifically, the mission of our church, and how the church allocates mission funds. Several weeks ago, the church council member overseeing the mission budget instructed me to find out more about two areas of mission and outreach, if I could. (Especially since I went to a mission conference last week.) Both areas are wonderful causes and outreaches, and I tried to find out what I could. Yes, I now have some further information. The New Wilmington Mission Conference is a fantastic place to start, if a church wants more information about outreaches. However, I couldn’t help but think about our own backyard, our own township. There are people who are hungry, families in financial difficulty, and unemployed heads of households right in the town where the church is located, as well as the larger community. I spoke to these friends about boosting our support for the local food pantry, and my suggestion was favorably received. I’ll repeat the suggestion next week, at the church council meeting. I left work later in the afternoon. After doing several errands and seeing a few friends, I stopped by a grocery store. On the south side of town, where I don’t usually shop any longer. I saw a middle-aged man with dreadlocks and a lovely smile sitting outside the store enclosure, on several of those plastic milk crates. I smiled at him as I came up. I walked right to him, instead of passing him by, without even making eye contact. The whisper of a feeling inside me suddenly came out. My mouth opened, and I asked him, “Would you like something? I don’t have too much to spare, but is there anything I could get for you?” He seemed a bit surprised, but came right back with, “Yes. Yes, there is. I would like a can of tuna, please.” Another friend of his was standing at his side. She asked him what he was planning to do with the tuna. He thought a moment, and then frowned. “Hmm. I’m out of mayonnaise now. But at least I have bread. I can eat that with the tuna.” I smiled again, and said I’d see what prices were, inside. Lo and behold, tuna was on sale. Brand-name, too! And even the mayonnaise was on sale. I got a couple of bananas, as well. That was besides the milk, bananas, soup (on sale!) and potato salad I got for myself. Outside, I gave the lovely man the grocery bag I had packed for him. He thanked me with a grateful hug, and blessed me. I wished him a blessed night and good sleep, as well. It wasn’t until I had arrived home from the store that I realized what this was. This was being kind. Being of service. Offering groceries to a man I knew—even though I’m just a little bit acquainted with him. He was so appreciative. That made this whole mission outreach thing come to mind, too. I may not be super-wealthy, but I do have a little extra. God, thanks for urging me to get the few groceries for this man. I earnestly pray for him, and for all of those who love and care for him. And, thanks for the wonderful idea to get him groceries, too. So much attention to what has been going on recently is posted on social media. Sure, it’s an efficient way to get out the message to many, many people with a minimum of effort. (And, I must say I use social media for exactly that reason, sometimes.) However, the intimacy of a personal, one-on-one conversation can be so nurturing and healing. It can provide feelings of warmth, wellbeing and connection, which are sadly falling to the wayside in today’s rush-rush, hurry-hurry, fast-paced society. May God never allow me to shelve this intimate, personal touch of a kind, one-on-one conversation. Reach out with God’s love. Isn’t that how it works? Presiding Bishop Michael Curry devoted his sermon to that concept on Saturday, at Prince Harry and Meghan Markle’s wedding. It doesn’t matter whether love is between two individuals (like Harry and Meghan) or between two strangers, God’s love is powerful. God’s love brings people into community. God’s love can be life-changing. Thank you, Bishop Curry, for clearly articulating timeless truths about God’s love. And kindness. And service, too. Reach Out, and Be Kind to Someone! Before the bible study started, I met with Mary, the church council member in charge of the mission effort at this church. Yes, it is a small church. However—this church has a great track record, as far as supporting outreach into the wider world! It was instructive for me to see exactly where this church’s support went, and what they thought was (and is!) important. This started me thinking about the verse for the month of May—my verse for A Year of Being Kind. Deuteronomy 15:11 – “There will always be poor people in the land. Therefore I command you to be openhanded toward the poor and needy in your land.” What a verse for outreach! Whether you (or I) think of outreach as mission effort, or helping the community, or giving others “a cup of cold water,” this verse from Deuteronomy makes me think, hard. This verse comes from the Hebrew Scriptures, specifically, the five books of Moses, or the Torah. My youngest daughter and I just had an in-depth conversation about the books of the Law, earlier this week. She (who is going to declare an English major at college this fall) recently read several chapters in a related book, Leviticus. She made the insightful comment that many of the laws and statutes of the Mosaic Law Code were eminently sensible. For instance, take this command: being kind and considerate to the poor and needy serves a communal purpose. It brings individuals into community, solidarity with each other. And, it helps people who truly need a hand. This command gives everyone a chance to be grateful—to the givers, for being blessed with resources to give away, and to the receivers, for being blessed with the resources freely given. It doesn’t matter whether we’re talking about the land of Israel, two thousand years before the Christian Era, or about modern-day middle America—the suburban Chicago area, in fact. The poor and needy are still here, and we are still called, still commanded to be openhanded towards all those who are in need. God, help me to see where I can help. Be of service. Be kind to others. Lead me towards areas where You want me to get involved. Learning more about mission? Learning more about outreach? Learning more about gratitude? What better way to spend the morning? I think this blog post is just what I need right now. Peace. God’s peace. Jesus giving me peace. I am so grateful that Jesus provides peace for us. Peace, wellness, wholeness, shalom. God be with you, with me, with everyone. Peace Be With You, With Me—With Everybody! Peace can be a transient thing. It’s difficult to come by for some people, and even more difficult to hold on to, for others. I know in my life, I have not always been peaceful. At peace. For years, I have (more often than not) been longing for peace, even actively searching for peace . . . and not finding it. I am so grateful for family members! Loving, kind, giving family members gave us a hand. Helped us out. I don’t know how I would have made it through without our great families! But, wait! You say, that’s great for long time ago, but . . . what gives? Sure, what you’ve said so far is all very nice. All heartwarming and everything. But it was some years ago! What about today? 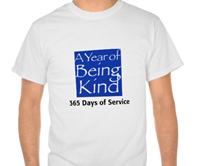 How am I—how are we being kind today? I’m so glad you asked! Some time has passed, and I have been actively searching for peace ever since. More often than not, for years. And years. I believe I have some idea of peace in my life, right now. At bible study today, we were all talking about peace. God’s peace. How Jesus wished His disciples—His followers peace. What did that mean, anyway? To greet someone with the word “Peace” was a common way of saying hello, in the first century. In Hebrew, the word is shalom. “Peace” didn’t mean just a cessation of violence . No, the connotation of the word shalom meant much, much more. By using this greeting, the risen Christ was wishing His followers not only peace and wellness, but also wholeness, in terms of the world being made peaceful. As we talked about this rich, multi-layered concept of peace—of shalom, what a wonderful idea it is! How awesome, to have Jesus wishing this for the disciples. And even, wishing it for each of us, too! That was my act of service today, telling people about the peace of Christ. Truly, a wonderful discovery for each of us. I don’t know about you, but I think Jesus can deliver. For me, and for you, too. I put my trust in the risen Christ. I know the risen Christ makes Himself available to me. On a daily basis, even. And how awesome is that? I’m reminded of this bathroom facelift, several years ago. I appreciate it still. I like looking at the clean, white tile, the accent mosaic tile running around the top of the white tile work. Sure, the cabinet under the bathroom sink is already showing signs of wear, but the bathroom is such a nice place now. I thank the contractor we hired to do the job on the bathroom, just as I appreciate the big remodel job my Heavenly Contractor is doing on me. Sometimes quickly, sometimes slowly, work continues. Until, I suspect, I am done with this earthly tent I’m living in. Thanks, God. Human Contractor, or Heavenly One? Day Six of the bathroom facelift. After driving around all day—doing errands and going places—I finally got home later in the afternoon. The contractor told me, regretfully, that the medicine cabinet I had bought did not fit the opening in the wall. The width was fine, but the new cabinet was a few inches too high. So, off I went again to the big box do-it-yourself store to replace the medicine cabinet I had just bought a few days ago. But, that’s okay! I enjoy going into those stores. All kinds of hardware supplies and building materials are on display, for sure. The man in the plumbing materials section of the store turned out to be quite helpful. Conversational, too! I needed to buy a replacement for our ratty old shower curtain rod, and get a few other incidentals, in addition to the medicine cabinet. He made the process of buying supplies smooth and easy. I did not even ask him his name. That makes me sad. But I can pray for him, and wish him the best in his job and in the rest of his life, and wish his family good health and harmony. And, I do! So, this kind man was kind and helpful to me! He was of great service to me and my family, too. I wonder: what kind of remodeling job do I need in my spiritual house? I know I need some work, that’s for sure. But I don’t quite know where my General Contractor, God, is going to start work next. I think God has helped me make great strides with my regular prayer time. As I’ve mentioned here before, I could not keep up a consistent prayer time. Even though I tried and tried, I just couldn’t. Until late last fall. God helped me to stay pretty consistent with the Advent prayer calendar I was following. After years and years of prayer about praying consistently, I finally succeeded. (With my General Contractor’s help, in great part.) Praise God! Dear Lord, thank You for people who smooth the way for me, and show me kindness and service, too. Please, help me to intentionally, consistently show kindness. Service. Encouragement and love, too. Thanks, God! As I re-read this blog post, I got a real sense of taking care of home and hearth. Not something that I am particularly skilled at, I am afraid. Sure, I can clean, and I even enjoy it. (To an extent.) However, cleaning is not one of my spiritual gifts. (Sorry about that.) I am so focused on my work right now, outside of our apartment This blog post reminds me that I ought to strive to do these things that are a stretch for me. Regularly. Dear Lord, help me to keep trying, both in and outside of my home. Some members of my extended family are natural cleaners. Since our family grew up on the northwest side of Chicago, among some Polish immigrants, and since our family has Polish stock in our ancestry, several of my family joke that certain members inherited the Polish cleaning genes. I remember some of the middle-aged and older Polish ladies in the neighborhood, while I was growing up. Their houses would be immaculate. I remember one older lady—I think she was the older aunt or grandmother of the people who owned the house. I’d walk by their garage, a few doors down the alley, and she would be on her hands and knees washing the garage floor. Seriously. No joke cleaning. Well, some of my relatives are almost that thorough. The verse that I am focusing on in February is 1 John 3:18, “Little children, let us love, not in word or speech, but in truth and action.” What could be more loving than making certain that my kitchen is a clean and pleasant place to cook and to eat food? And, to sit and read at the kitchen table? I must admit, things do tend to pile up around my house. Mail. Papers. Books. (It is not a large space to begin with.) This is one area that I know I need to work on. God, I get the message. I feel the nudge. Or, nudges, depending on the week. Sometimes I have legitimate reasons why I can’t get to the housework. Work is important, and I have worked some overtime recently. (My husband was pleased about that—so was I.) But sometimes . . . sometimes, I only do the minimum required. That’s like my internal housekeeping, too. Sometimes, I only do the minimum to keep things spiritually tidy, to get thoughts and ideas internally organized, to get my brain oriented towards things that are useful, or helpful, or worthwhile. Not that I waste a lot of time (since we don’t have cable television or any of the computer-assisted television packages), but I am pleased to say I do not watch hours of reality television. And—I do not miss it! But enough with bashing current trendy culture. God, I do want to follow You. Be of service. Act in ways that are kind and helpful. Please, help me as I work on cleaning more regularly, each day. Wow, what a way for me to be of service! Looking back at my daily blog from 2014, I see a great many things that are really heartwarming. I reread blogs of instances where I was kind, where I helped, and where I was of service. As I mentioned, this is kind of natural for me. (God has gifted me with the spiritual gifts of mercy and helps, and so I almost automatically reach out when I see the need.) But…what about when I realize it’s better to keep quiet about being of service? What if a kind word or a helping hand is better shared behind closed doors? Sometimes, this way is the best way. I know I’ve been trying to blog each day in 2014. As I’ve said before, I’m highlighting an intentional act of service every day. A wonderful opportunity to show different ways of being kind, to find ways of being of service to others! Many spiritual and religious traditions raise up the practice of service, including Christianity, Judaism, Islam, and the Recovery program. Instead of getting all puffed up and walking around with a big head (“My goodness, look at me! Look at all the acts of service I’ve piled up—I mean, I’ve done for God!”), I can readily see the benefits of service done in secret. I have done any number of acts of service that I haven’t spoken (or blogged) about. First, perhaps because I knew the person I did the service for would not appreciate me blogging about them. Second, because I did not want to openly broadcast the act of service, and otherwise shine a spotlight on what ordinarily would be a quiet act of kindness or compassion. Foster tells his readers that acts of hidden service not only affect the person serving, but others, as well. “Hidden, anonymous ministries affect even people who know nothing or them. They sense a deeper love and compassion among people though they cannot account for the feeling.” (p. 134) I can attest to this. On numerous occasions when I’ve been involved in ministry to others, doing acts of kindness or service, I have sensed a sweetness, a freshness about the place. It’s as if the positive energy or God’s blessing (or whatever anyone decides to call it) permeates the atmosphere. I can’t explain it, I can’t quantify it. But I have experienced it. The difference being kind makes. I do have a certificate in Alcohol and Drug Counseling, and I know how important acts of service are to those in recovery. A common saying in recovery goes, “You can’t keep it unless you give it away.” And again, on page 77 of the Big Book of Alcoholics Anonymous, the chapter Into Action talks about the recovering person’s attempts to be of “service to God and the people around us.” This concept is a foundation of the recovery program. Being of service to others is not only helpful, but essential to maintaining a healthy balance and spiritual walk with God and with others. So, yes. I did do several acts of service today. And I am going to choose to keep quiet about them.